Our repair facility bolsters state-of-the-art computerized paint color detection for exact match paintwork. In addition, our paint booths have baking capabilities that produce factory type durability and finish. We proudly use ultra premium PPG paint products. At Tucker’s Collision Center in Las Vegas, we take pride in our body work. We offer the highest quality of auto body and paint repairs at a GM certified collision center. Our certified technicians will only use genuine parts and materials when providing you with collision repair service. Tucker’s Collision Center knows that the best way to restore your vehicle to its original specifications is to use genuine parts and GM certified service. Two of our highest goals when providing our customers with body and paint service are professionalism and value. Our team of body and paint experts will pay close attention to detail and will never compromise quality. We also have years of experience working hand-in-hand with all major insurance companies and will always place our customer’s best interest first. From minor dings to extensive accident repairs, we have an auto body and paint shop ready to take care of you. Tucker’s Collision Center looks forward to taking care of your minor paint repairs, custom fabrication, restoration, and collision repair needs. Tucker’s Collision Center is conveniently located in the Las Vegas and within driving distance from Paradise, Whitney, and Sunrise Manor. Tucker’s Collision Center in Las Vegas is ready to provide you with reliable and price-conscious auto body repair and paint services. 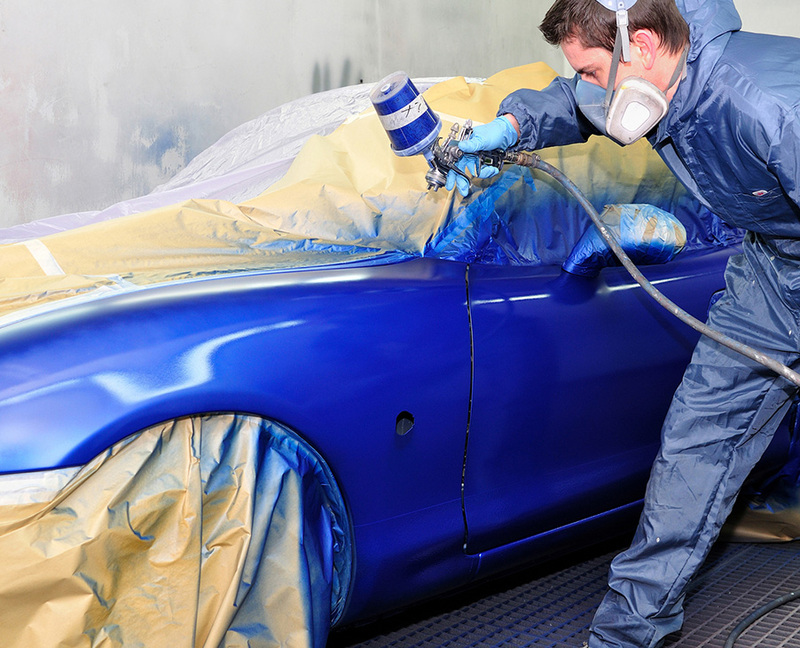 Our auto body & paint services include paint touch-ups, scratch repair, dent repair, Minor collision repair, Major collision repair, and Custom restoration work. Our goal is to provide you with the highest quality of auto body and paint service that is customer oriented. If you have any auto body and paint needs from minor scratch repair to collision damage, schedule an appointment at the GM certified Tucker’s Collision Center in Las Vegas to have one of our auto body and paint experts restore your vehicle to manufacturer’s specifications. Schedule auto body & paint service today!